Was Miley Cyrus twerking while her makeup team applied her glam look for the Maxim Hot 100 party? Miley is the mag’s choice for hottest woman alive, but the chalky white makeup around her mouth makes her look more like the hottest ventriloquist doll. Like, from far away, her mouth looks like it has skin-colored bandages around it. (Side story: I once hooked up with a guy who tried to cover an ENORMOUS zit on his chin with a small piece of band-aid and it had the same effect.) I suspect an overzealous approach to covering blemishes and/or beard burn around the mouth or a weird attempt at facial contouring is to blame for this makeup mishap. Or twerking, because Miley always be twerkin’. We may think celebrities are always picture perfect, but every once in a while we see behind the curtain — especially when those bright bulbs are flashing on the red carpet. Makeup is required. More specifically, powder. But it’s a delicate balance. Too much and your favorite celeb may look like a clown, too little and they’re shinier than an oil slick. 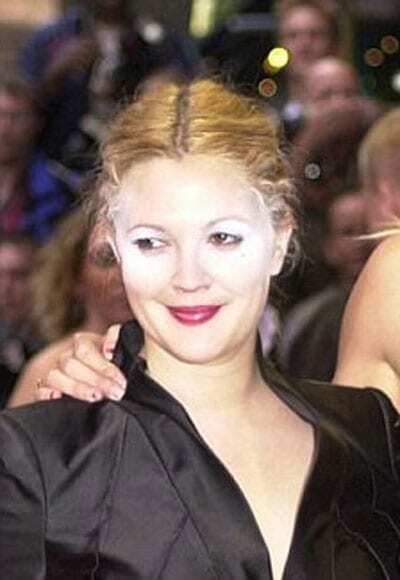 Click through to see some very unfortunate celebrity powder mishaps. Excuse me, Melissa Joan Hart? I know you’re on your way into the premiere of “Frozen” but I really feel like someone should tell you this. You have something on your face. Specifically your forehead. Wait, there’s some around your nose and mouth too. Powdered sugar? Cocaine? Translucent powder? Probably the latter, most likely, though it’s hard to understand how any self-respecting makeup artist could let Melissa leave the house without blending in her makeup, like, at all. Ahh well, at least the theater was dark. Was Miley Cyrus twerking while her makeup team applied her glam look for the Maxim Hot 100 2013 party? Miley was the mag’s choice for hottest woman alive, but the chalky white makeup around her mouth made her look more like the hottest ventriloquist doll. Like, from far away, her mouth looks like it has skin-colored bandages around it. Gwyneth Paltrow’s face is so shiny I can see my reflection in it. Somebody find her a GOOP approved organic face powder quick! Shhhh! Don’t tell anyone that Nicole Kidman stuck her nose in a bowl of flour. The Goth look doesn’t really work on J. Lo. 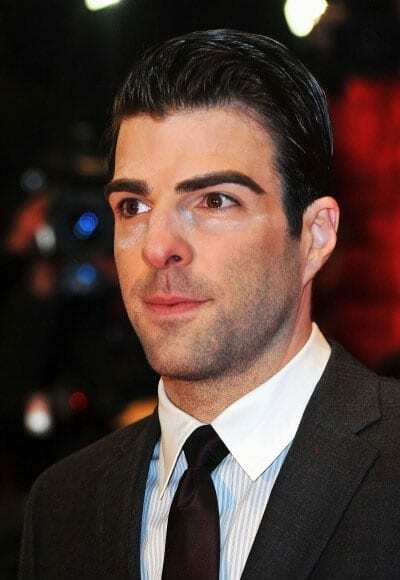 Zachary Quinto’s war paint is showing. Oh wait, that’s powder. Victoria Beckham is a spackled mess. I don’t think Eva Longoria was intentionally trying to look like a raccoon. Ashley Judd is bright-eyed and powder-faced. 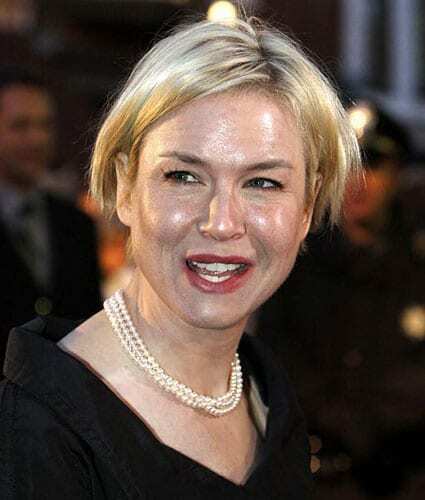 Renee Zellweger is shining, er … schvitzing, er … needing powder. 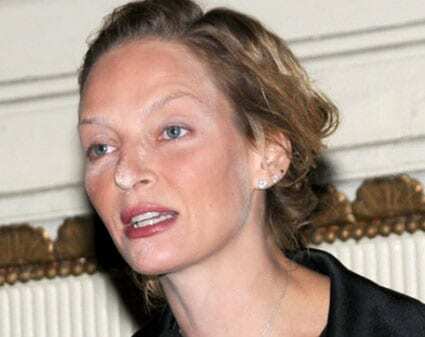 We are confused about what happened to Uma Thurman’s face.